CELEBRATING three years of unparalleled success the team behind popular Baltic Triangle venue Constellations have revealed its expansion to Cains Brewery Village. 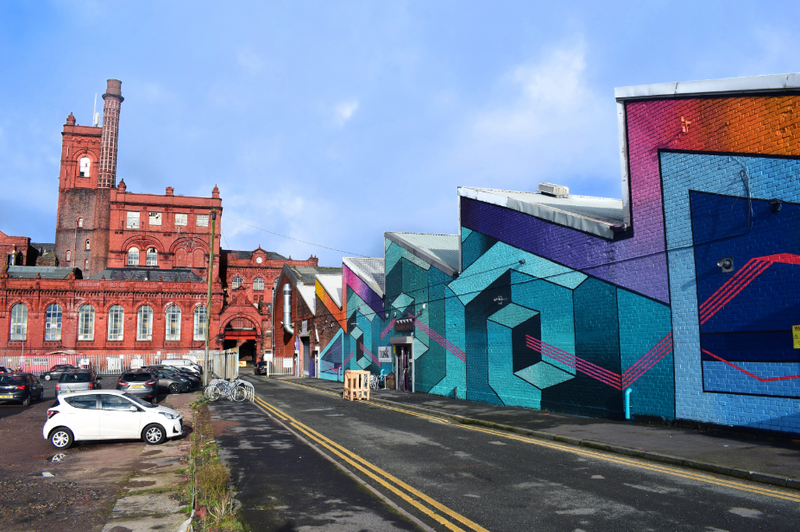 Constellations will bring their new multi-purpose space Hinterlands to life alongside Baltic Market, Brewery Works, Go-Cr8 and Northern Lights. A 10,500 square foot, three-room hireable warehouse, Hinterlands will be able to host unusual and diverse events with a focus on creative, digital, entertainment and retail. Hinterlands will be a unique proposition for any event organiser in Liverpool with the venue ready to host events in any of its three sections; the Event Hall, Eclipse and Annex. With phase 1 already complete, the venue will have an event hall, a hand-crafted mezzanine bar, an Eclipse Theatre space and smaller breakout meeting space. The venue will use state-of-the-art PAs multimedia and have Metronet Wifi - accessible to every customer. Marketing director Nicholas Baskerville said: "We’ve been working on the Hinterlands project for the last 12 months, after identifying a need for more space in the area. "We’re approaching this project with the same affection and independence as Constellations. "It’s a new space for new events whilst staying true to what makes the Baltic special; its creative, industrious and pioneering approach. "We’re incredibly excited to open our doors in 2018."